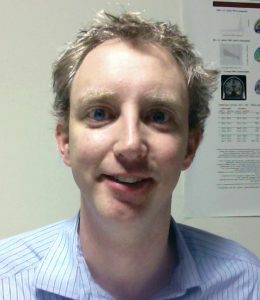 Willem Huijbers his work is focus on lifespan changes in the brain networks that support memory and early detection of Alzheimer’s disease. In his post-doctoral work with the Harvard Aging Brain study, he looked for markers of brain changes in preclinical Alzheimer’s disease with prof. Reisa Sperling. His work mostly focused on increases in brain activity, as either a marker of synaptic hyperactivity or neural compensation. In a second post-doctoral fellowship, with prof. Monique Breteler, Willem helped develop the neuroimaging infrastructure for the Rhineland Study; a prospective epidemiological cohort, that includes extensive phenotyping, and will collect MRI in 30.000 adults. Recently, Willem started as a Principle Investigator at Tilburg University at the department of Cognitive Science and Artificial Intelligence (AI) and the Jheronimus Academy for Data Science. Here, he reconnected with his undergraduate training (and love) for Artificial Intelligence. His newly established lab integrates machine learning methods and neuroimaging for prediction of neurodegeneration and Alzheimer’s disease.